If you’re looking for seclusion and true mountain serenity, the Christmas Valley neighborhood in South Lake Tahoe just might be the place for you. Comprised of mainly local families and year round occupants, the Christmas Valley neighborhood is possibly the top locale in Tahoe if you’re looking for adventure out of your backdoor. The area, which is centered around South Upper Truckee Rd, but also includes Santa Claus, Blitzen and Elf Roads, includes the beautiful Upper Truckee River which happens to be Lake Tahoe’s largest tributary. The area encompasses many beautiful meadows, trails and USFS cabins – especially towards the far end of South Upper Truckee Road. This neighborhood is lined by towering mountains with Echo Summit peering down over it. You’ll pass through Christmas Valley on highway 89 while on your way to Hope Valley, Luther Pass, Kirkwood or the Carson Valley. 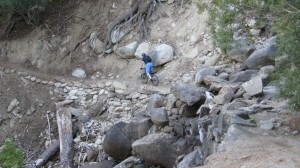 The area is extremely popular with mountain bikers, backcountry skiers and hikers. Trails and recreation abound in the area and include Old Meyers Grade; a popular year round paved workout area due to snow removal in the winter, Hawley Grade, Lake Valley Trail which connects to the Tahoe Rim Trail and for the extreme adventures and backcountry skiing from Echo Summit. The area includes a variety of family-style homes with and without garages, forest service cabins, and larger mountain homes. This area tends to get lots of snow, so that garage or plow service may come in handy. However, it’s loved by skiers, with great access to Hwy 89, Luther Pass (Waterhouse Peak for alpine touring and Grass Lake for snowshoeing or cross country), Hope Valley, Kirkwood Resort and Sierra at Tahoe. Checkout all of the current listings below to see what’s available and make sure to contact us for more information.